True. Bats see just fine, and in spite of the idiom “blind as a bat”, bats really have no reason to serve as the benchmark for people with less than perfect eyesight. Popular myths aside, fall is indeed upon us, which means that the start date of October 1st for the liability shift is near. Are you prepared? To test your EMV preparedness, see if you can determine whether each statement is true or false. There really is no proof that EMV is a safer way to protect data. False, false, and false. Let’s look at two case studies. Since introducing EMV technology in 2004, the United Kingdom reported 62% less fraud in 2013. Canada has also reduced fraud losses to $29.5 million since transitioning to EMV technology. Fraud in Canada is down 79% from losses in 2009 ($142 million). With EMV technology responsible for the significant decrease in fraud in the UK and Canada, the technology aims to also decrease fraud in the United States as well, which currently accounts for nearly half of fraud worldwide. All businesses—small and large—should be EMV-compliant. True. No business is too small to adopt EMV technology. While it might be assumed that businesses with larger sales should adopt this technology, small businesses should also be sure to protect their sales as well. Leave it to a pesky fraudster to think ahead and target a small business because the merchant assumed that fraudsters only targeted larger companies. Prevent being caught off guard by being one step ahead of those who want to steal from you. Adopting EMV technology is expensive. For the business owner that thinks long term, false. The average cost of an EMV terminal is between $400 and $700. The average bill on a fraudulent card is $399. You do the math. While one fraudulent transaction probably won’t destroy you, starting October 1st, you, and not the associated bank, will be responsible for repaying losses resulting from fraud if your business is NOT EMV compliant. You will also be penalized for the fraud that could have been avoided by installing an EMV card terminal. When you add it all up, $400 to $700 is a small investment compared to the possible cost of not adopting the technology. What’s more, card processors such as COCARD often discount card readers. So call us today, and we will work within your budget. In addition to business owners, employees should also be trained on how to properly use EMV technology. True. 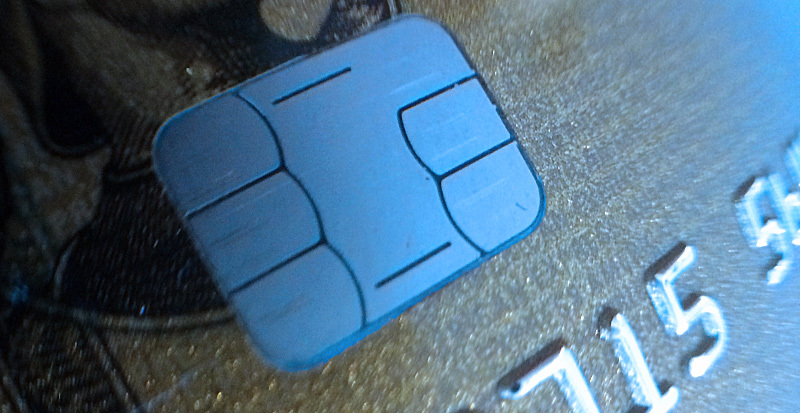 While you are schooling yourself on the ABC’s of EMV, don’t leave your employees in the dark. Whether through workshops, a training program, or printed manuals, employees should understand how card terminals work for both themselves and customers who need assistance. COCARD can work with you to develop a training program that’s right for your company. So how did you do? Did you get the right answers? Regardless, this information will be useful as your company prepares for the coming liability shift and transition to EMV. With foresight, you can protect your company from fraud and ensure, to the best of your ability, an environment that maximizes both security and profits. There’s nothing batty about it, EMV we mean.